Who’d have thought the shin of a cow would be where you’d find some of the tastiest meat? Fillet steaks are all well and good, but beef shin – with the right amount of cooking time – slowly becomes an unctuous, sticky, flavourful cut of meat that falls off the bone and infuses its savoury taste into all manner of warming, comforting dishes. Something our collection of beef shin recipes proves all too well. 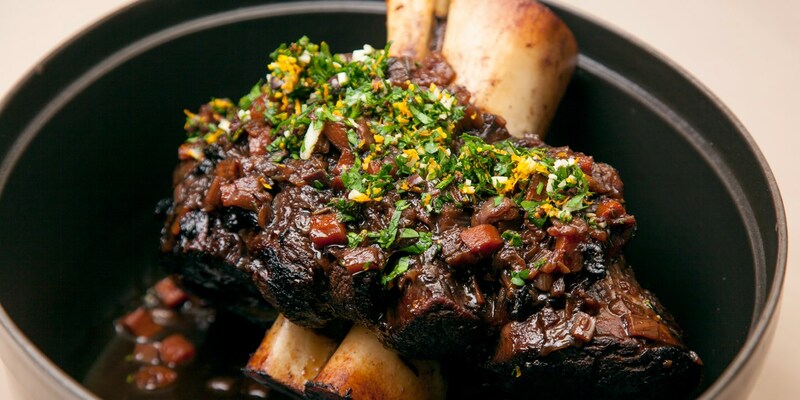 Get started with Pascal Aussignac’s Braised whole beef shin with gremolata, a simple yet incredibly delicious dish which shows off beef shin’s qualities brilliantly. Getting cold outside? This Spicy beef shin hotpot with roast squash wedges is the perfect winter warmer. Or for something with fragrant Asian flavour, try Leyla Kazim’s Bún bò Hué or Shu Han Lee’s Chinese red-cooked beef with noodles. You’d be lucky to find beef shin in a supermarket, so a trip to your local butchers is a must. Cooking it on the bone will ensure a more succulent, flavourful bit of meat, but remember not to rush – good things come to those who wait.